About "Solving quadratic equations by factoring"
Here we are going to see how to solve quadratic equation in a simple way. In a quadratic "Leading coefficient" means "coefficient of x²". (i) If the leading coefficient is 1, we have to take the constant term and we have to split it into two parts. (ii) The product of two parts must be equal to the constant term and the simplified value must be equal to the middle term (or) x term. 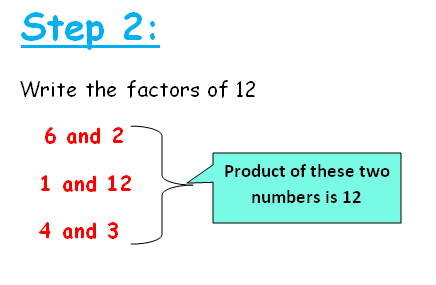 In the first step we are going to check whether the coefficient of x² is 1 or not. Since it is 1, we need to take the last number. That is 60 and find the factors of 60. 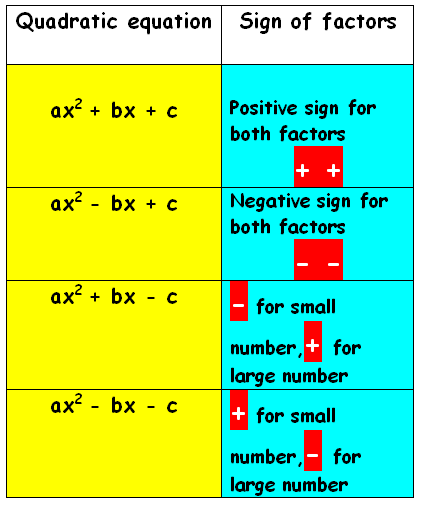 Since the given equation is in the form ax2 + bx + c, we have to put positive sign for both factors. This is just example of solving quadratic equations by factoring. 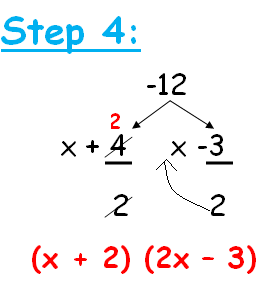 If you need more example problems of solving quadratic equations by factoring please click the below link. (i) If it is not 1, then we have to multiply the coefficient of x² by the constant term and we have to split it as two parts. (iii) Divide the factors by the coefficient of x². Simplify the factors by the coefficient of x² as much as possible. 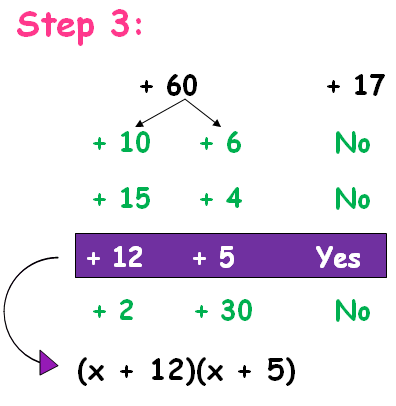 (iv) Write the remaining number along with x. So that we get -12, now we have to split -12 as the multiple of two numbers. 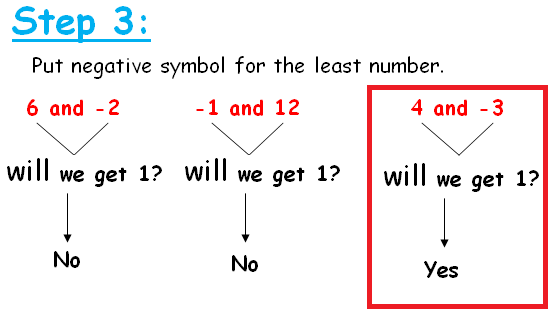 Since the last term is having negative sign, we have to put negative sign for the least number. Now we have to divide the two numbers 4 and -3 by the coefficient of x² that is 2. 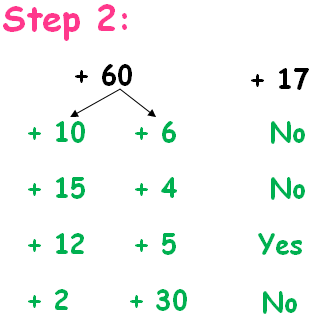 If it is possible we may simplify, otherwise we have to write the numbers along with x. This is just one example problem to show solving quadratic equations by factoring. If you want more example please click the below link. Now let us see the next example problem of the concept "solving quadratic equations by factoring". After having gone through the stuff given above, we hope that the students would have understood "Solving quadratic equations by factoring".